I have always loved the annual Tolkien calendars, gorgeous productions illustrated by world-class fantasy artists like Alan Lee, John Howe, and Ted Nasmith. Many of them have hung by my desk in years past, their unforgettable images of Middle Earth and the characters and scenes of LORD OF THE RINGS burning themselves into my memory. And now, at long last, I am thrilled to be able to announce that I will have a calendar of my own. 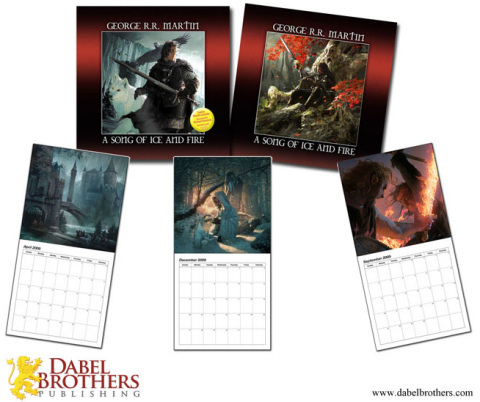 Dabel Brothers Publishing, the good folks who brought you the graphic novel versions of THE HEDGE KNIGHT and THE SWORN SWORD and the new Wild Cards comic, THE HARD CALL, have announced plans to publish a 2009 calendar based on A SONG OF ICE AND FIRE, illustrated by the wonderfully talented Michael Komarck, one of the hottest young artists on the fantasy scene. 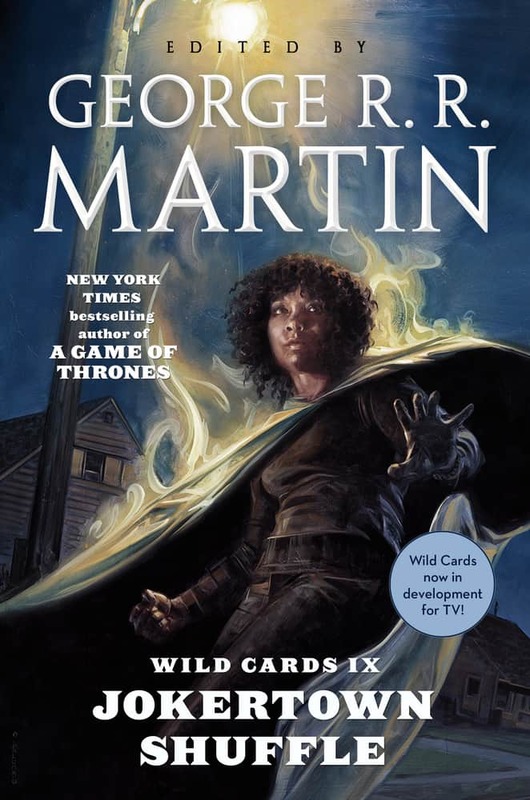 Komarck’s stunning artwork has previously graced the covers of THE ART OF ICE & FIRE from Fantasy Flight, and INSIDE STRAIGHT, the new WIld Cards mosaic novel from Tor, as well as many other book jackets, games, and cards. To see more of his work, check out his own website. The calendar will be issued in three states. The basic version, retailing at $14.99, will be distributed by Diamond and will be available nationwide in comic shops, bookstores, and every other outlet that sells calendars. In addition, there will also be two special limited editions, featuring the variant Jon Snow cover seen here, and sold exclusively from the Dabel Brothers on-line storefront. The special editions will be limited to 500 copies, and will contain working sketches, additional artwork, and other material not included in the basic calendar. There will be 250 copies of the special with the variant cover and extra material, retailing at $24.99, and 250 copies of the numbered deluxe edition, which will be signed by me. Those will go for $49.99, and Les Dabel assures me they will contain even more extras and bonus material. Two of Michael Komarck’s paintings have been released previously by DB Pro as prints suitable for framing; the remaining ten will be entirely original, never before seen in any form. 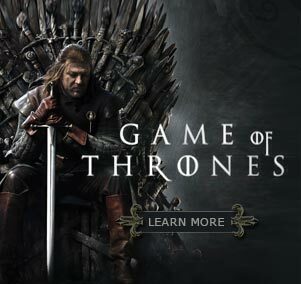 The subjects include Jon Snow at the Wall, Tyrion in his sky cell, Arya discovering the dragon skulls beneath the Red Keep, the duel between the Hound and Lord Beric, and other fan favorites from A Song of Ice and Fire. The calendar will be available in December 2008, well in time for the holiday season. If it does well enough—and you folks will help determine that—we hope to make it an annual event, with a different artist illustrating every year.